Whitfield and Barrett Strong’s psychedelic soul story of a wayward father and the family he left behind became a Motown classic. 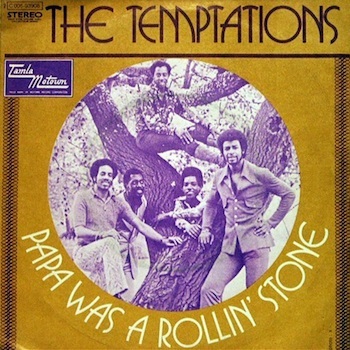 The Temptations’ recording of ‘Papa’ was a cover of what had been a recent single by fellow Motown act the Undisputed Truth. Their version had charted in June 1972, reaching No. 24 on the R&B chart but only No. 63 pop. The field was open for another version to cross over, and the Tempts were just the group to do it. Their recording, a cornerstone of the All Directions album, released in July, was a real epic, brilliantly orchestrated with a slow, brooding introduction, superb vocals and infectious rhythms and instrumentation. On the album, that intro went on for an incredible 3’55” before Dennis Edwards intoned that famous first line about the day his “daddy” died, and that full version lasted for nearly 12 minutes. There was a starring falsetto role, too, for Damon Harris, who had replaced Eddie Kendricks in the group in 1971. Even the single edit of the song ran nearly seven minutes, with the first vocal not appearing until nearly two minutes in, such was the team’s confidence that they had a smash on their hands. They were dead right. ‘Papa’ would become a big R&B record, at No. 5, but it was an even bigger hit with the pop audience. After debuting on the Hot 100 at No. 83 on 14 October, it took just two weeks to make the top 40 and five to reach the top ten. By 2 December, it was the Temptations’ fourth and final pop No. 1. 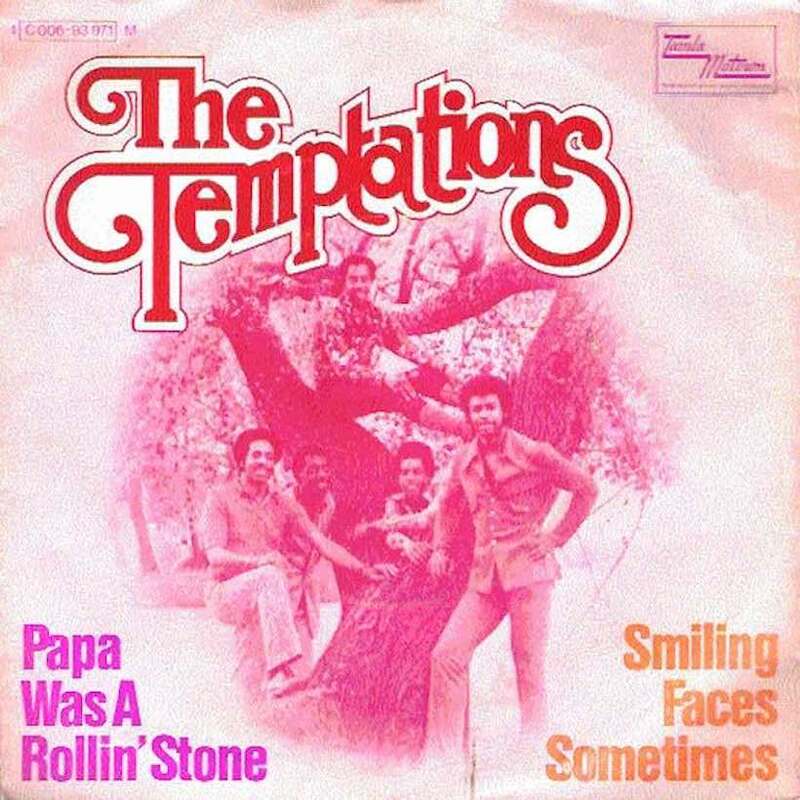 ‘Papa Was A Rollin’ Stone’ is on the Temptations’ My Girl compilation, which can be bought here. Follow the official Temptations Best Of playlist.